The Dalles, OR—Levels of naphthalene and other polycyclic aromatic hydrocarbons in The Dalles remain below levels that might produce immediate health problems but exceed levels for lifetime exposure, according to data released by the Oregon Department of Environmental Quality. DEQ will hold a meeting to discuss the results at 6 p.m. on Tuesday, March 21 in the third floor auditorium in Building 2 at Columbia Gorge Community College, 400 E. Scenic Drive in The Dalles. 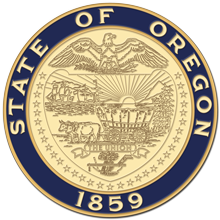 The Oregon Health Authority and the Agency for Toxics Substances and Disease Registry will discuss the process for the health consultation, which will look more closely at health effects of naphthalene and other PAHs. In June 2016, DEQ began collecting air samples in the vicinity of AmeriTies, a company that produces railroad ties in The Dalles. The latest results include data from five sampling locations taken last year between June 2 and November 19. The data was collected before AmeriTies switched to a new wood preservative in December 2016, one with considerably less naphthalene. - Results show naphthalene concentration levels ranged from .006 to 5.78 micrograms per cubic meter. The highest measured concentrations were found at the Wasco County Building, located immediately east of AmeriTies. - Concentrations for both naphthalene and total polycyclic aromatic hydrocarbons, or PAHs, were found above their respective lifetime, or 70 year, annual average benchmarks. The lifetime benchmark is based on cancer risk and is 0.03 micrograms per cubic meter. - Naphthalene concentrations were found well below the provisional (24-hour) screening level set by OHA, which is 200 micrograms per cubic meter. - The report found no correlation between levels of tie production at AmeriTies and either naphthalene or total PAH concentrations in the air samples. The average concentration of naphthalene in samples varied considerably by location. The lowest average concentration was at the Cherry Heights location (.063 micrograms per cubic meter), while the highest average concentration was at the Wasco County Public Works building (2.37 micrograms per cubic meter). PAHs generally do not pose immediate or urgent health risks, but many of them can increase lifetime cancer risk with prolonged exposure. Various sources contribute to the presence of naphthalene and other PAHs in the air, including automobile exhaust, woodstoves and wildfires. AmeriTies is also a significant contributor of naphthalene and other PAHs in The Dalles. While the Oregon Health Authority is not advising that residents take any special health precautions related to these monitoring results, residents with health concerns should communicate with their health care provider. The Oregon Health Authority, in collaboration with the Agency for Toxic Substances and Disease Registry (ATSDR), a federal public health agency of the U.S. Department of Health and Human Services, will use the finalized air monitoring data to prepare a health consultation report to evaluate whether long-term health air exposures are harmful from naphthalene and other air pollutants in The Dalles. The health consultation report will include findings relative to the concentrations for each measured contaminant of concern, estimate how much exposure and exposure duration, and estimate health risks given what is known about the toxicity and effects of the chemicals examined. DEQ will conduct additional air quality monitoring for PAHs in The Dalles later this year.